May purchase any quantity. May redeem 1 voucher per person. Children above age 3 must have a voucher. Quantities are limited, so purchase now and book early. Reservations based on availability, call for reservations. 72 hour cancellation notice required. Valid Monday through Saturday. Bring your own blankets to keep warm. 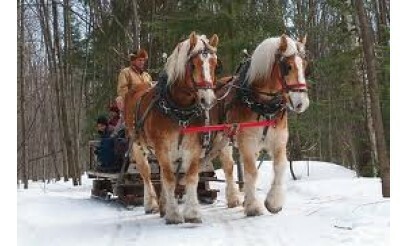 Sleighs are used in place of buggies/wagons WEATHER PERMITTING. 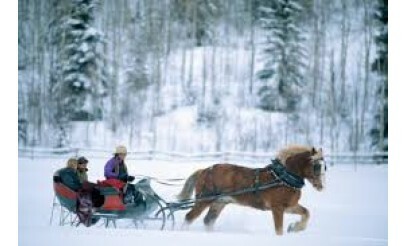 There is no guarantee that conditions will be suitable for a sleigh. Please arrive 15 minutes prior to scheduled ride. Valid through: Dec 21, 2013. See the terms that apply to all deals. Just in time for the holidays! This offer is good for 1 ticket for a sleigh ride to see Santa, plus a photo of your group with Santa. 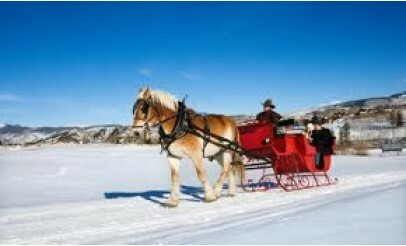 The ride lasts about 15-20 minutes and is private; meaning just your party will be on the sleigh. Rides start November 30 and run to December 21. Reservations are limited, so book now!